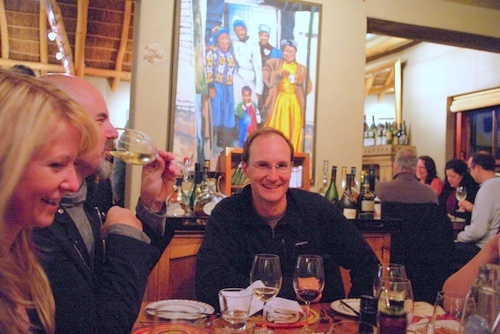 So I arrived with a jolly bunch of UK journalists in Cape Town, on a cold and rainy day. 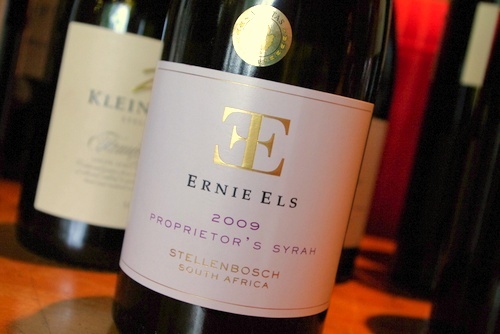 We’re all on slightly different itineraries here, so some of us headed off for Sunday afternoon at Ernie Els’ place in Stellenbosch, where a bunch of Stellenbosch winemakers had gathered to show their wines. 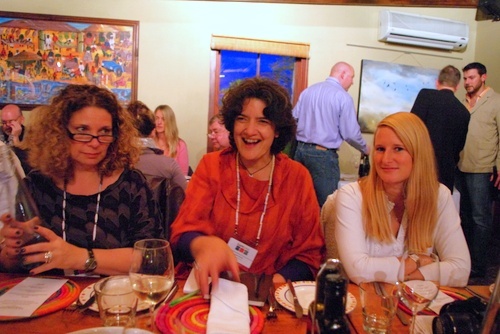 It was supposed to be an outdoor event, but the freezing temperatures and lashing rain kept us indoors. I tasted quite widely, with the highlights being the Jordan The Real McCoy Riesling 2009 (limey, dry, balanced), the Ernie Els Proprietors Syrah 2009 (ripe and full but smooth, textured and meaty), Kevin Arnold’s Katherine Leigh Shiraz 2009 (nicely aromatic, smooth and Syrah-like) andthe L’Avenir Grand Vin Pinotage 2009 (ripe, characterful and aromatic). 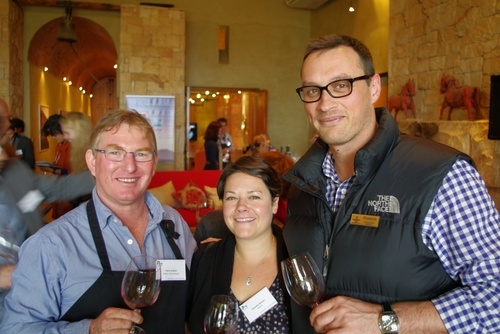 Then, in the evening, I was with quite a large group attending a Rhone variety-themed dinner at 96 Winery Road. 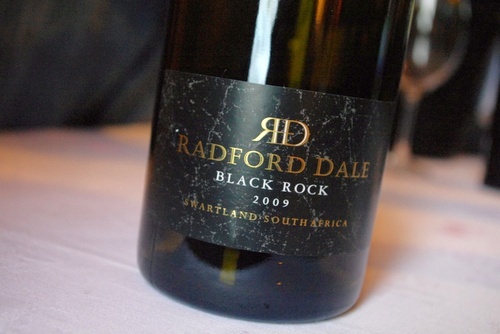 The wines that stood out for me were the Radford Dale Black Rock 2009 (beautiful definition to this Swartland Rhone blend), Radford Dale Viognier 2011 (exotic yet still fresh with real Viognier character), De Morgenzon The Maestro White 2011 (big, textured, bold and intense), and De Morgenzon’s DMZ Syrah (fresh and drinkable with a peppery twist tothe lovely fruit). Returning to the hotel we stayed up and drank beer. 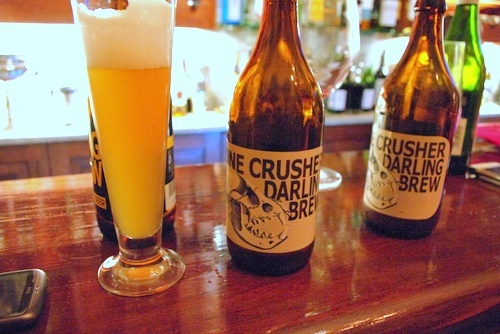 I really liked the Darling Brew Crusher, a full flavoured wheat beer.